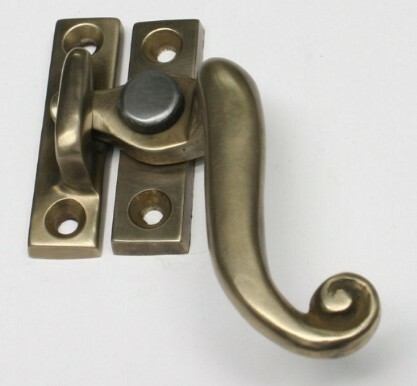 Above window lock is made from Thick Brass or Bronze Castings. Plates are 1/2″ x 2″ . Lever Pivot to End 2 1/4″.